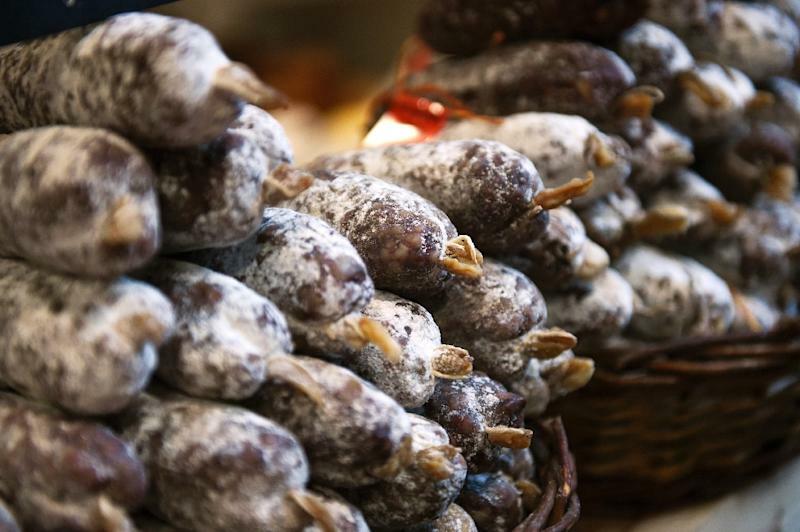 Paris (AFP) - Sausages, ham and other processed meats cause bowel cancer, and red meat "probably" does too, a UN agency warned Monday, in a potentially heavy blow for the fast-growing livestock industry. 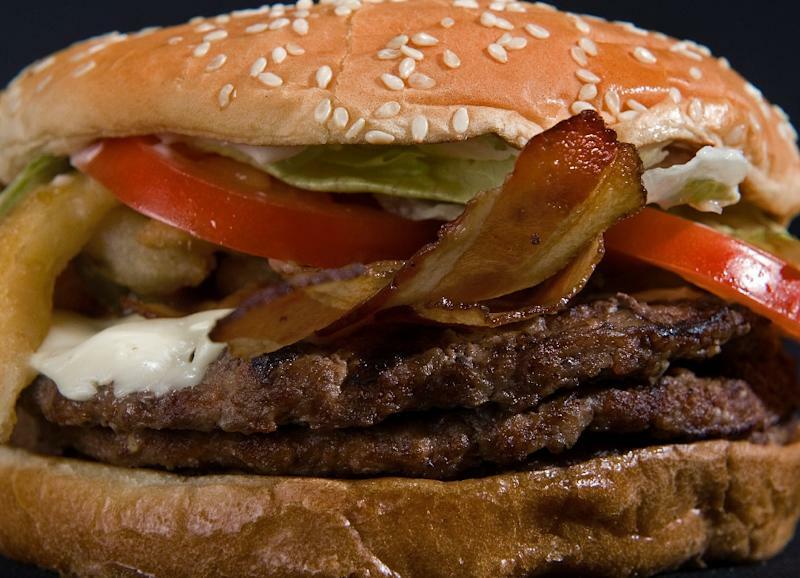 A review of 800 studies from around the world found "sufficient evidence in humans that the consumption of processed meat causes colorectal cancer," said the International Agency for Research on Cancer (IARC). The finding, it added, supports "recommendations to limit intake of meat" -- particularly in processed forms. The category includes meat that has been salted, cured, fermented or smoked -- hot dogs, sausages, corned beef, dried meat like beef jerky or South African biltong, canned meat or meat-based sauces. This meant enlarging the group of people likely to develop bowel cancer in their lifetime from six to seven out of every 100 who eat a three-rasher bacon sandwich every single day, explained statistician David Spiegelhalter of Cambridge University, who was not involved in the study. The IARC agreed the cancer risk was statistically "small", but "increases with the amount of meat consumed." 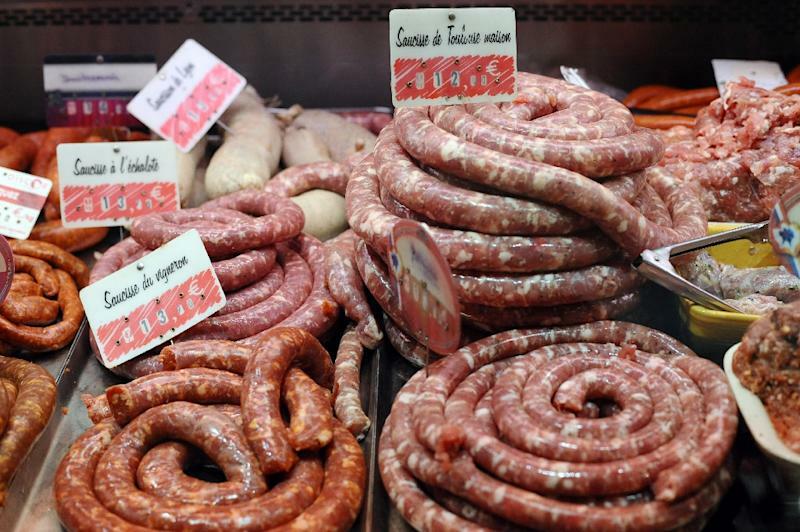 For unprocessed red meat -- beef, veal, pork, lamb, mutton, horse or goat, the review found "strong" evidence of a link, but not convincing enough to place it in the group of confirmed cancer-causing agents which includes tobacco smoke, asbestos, and now also salami. This was dwarfed by the estimated one million cancer deaths attributed to tobacco smoking, 600,000 to alcohol use, and more than 200,000 to air pollution every year, said the agency. The IARC said its data did "not permit" the determination of a safe meat quota. "It is not yet fully understood" how cancer risk was increased, the agency added -- speculating about the potential role of chemicals that form during meat processing or cooking. Meat producers slammed the report, as independent experts urged caution in interpreting the numbers. The North American Meat Institute (NAMI) said the IARC "tortured the data to ensure a specific outcome". NAMI vice president Betsy Booren pointed to the high consumption of processed meats like salami and ham as part of the Mediterranean diet, yet "people in countries where the Mediterranean diet is followed, like Spain, Italy and France, have some of the longest lifespans in the world and excellent health." British nutrition expert Elisabeth Lund said: "Very few people in Europe eat sufficient meat to fall into the high meat consumption category," and stressed it remained a crucial source of iron and zinc. Ian Johnson, a Britain-based nutrition researcher, added that "there is little or no evidence that vegetarians in the UK have a lower risk of bowel cancer than meat-eaters." The IARC's cancer warning is the latest on a long list of troubles for the meat industry: from salmonella and "mad cow" scares, to dietary fat blamed for disease-causing high cholesterol and livestock methane emissions contributing to global warming. "How many more health scares must we endure before people realise that animal protein is not good for us?" asked Jasmijn de Boo of The Vegan Society, a group that advocates against human use of animal proteins.